One thing I have to say about the seasons in Japan is that they’re relentlessly picturesque. And convenient! When I woke up Wednesday morning, I looked out the window and was delighted to see it had been snowing since 3:00 a.m. – even my ho-hum neighborhood had a charming blanket of white. There was enough snow to make me want to take pictures of the little puffs on top of the vending machines, but not so much that it was a chore to slog to the train station. 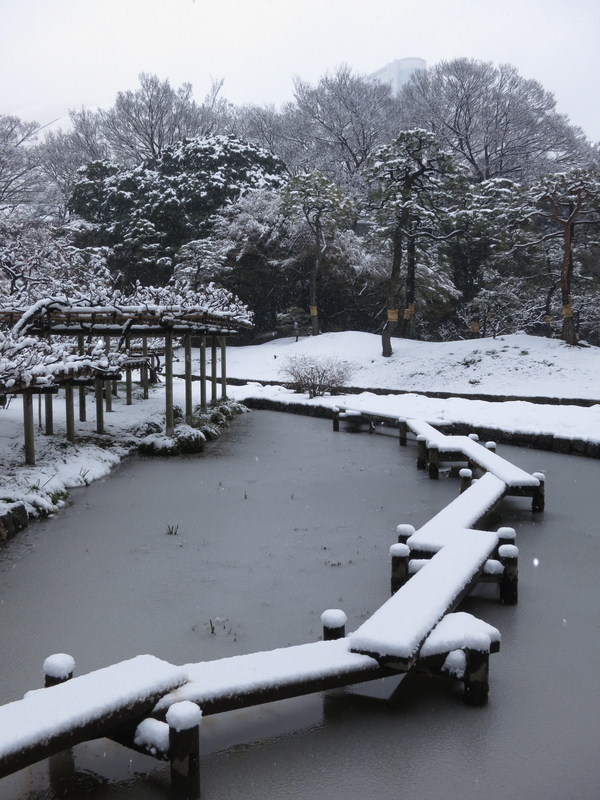 It snowed and snowed all morning while I was in class, so I made like a road runner for my favorite Japanese garden the minute the bell rang. 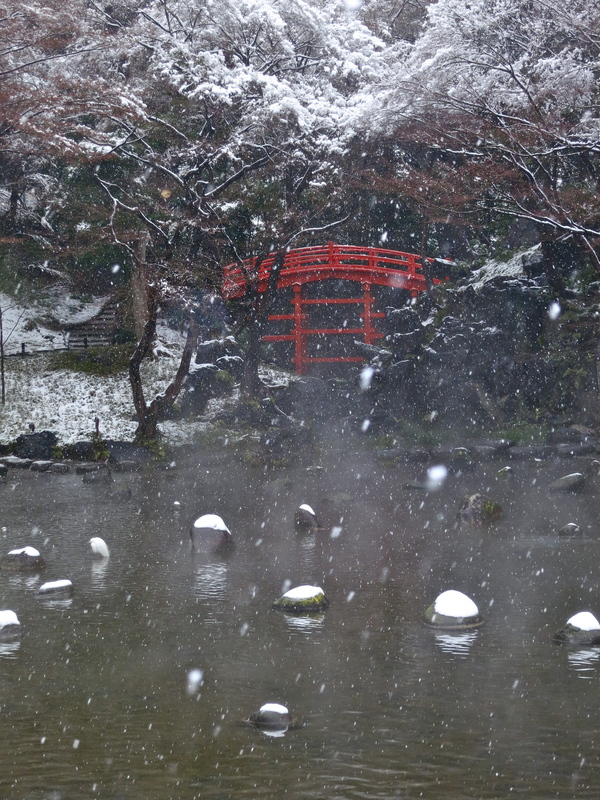 For an hour, I walked around, while the temperature climbed and the snowflakes became bigger and wetter. By the time I left, everything was melting. Next day: snow was gone. No shoveling. No devilishly slippery black ice. No grimy lumps lingering on for months like unwelcome houseguests. 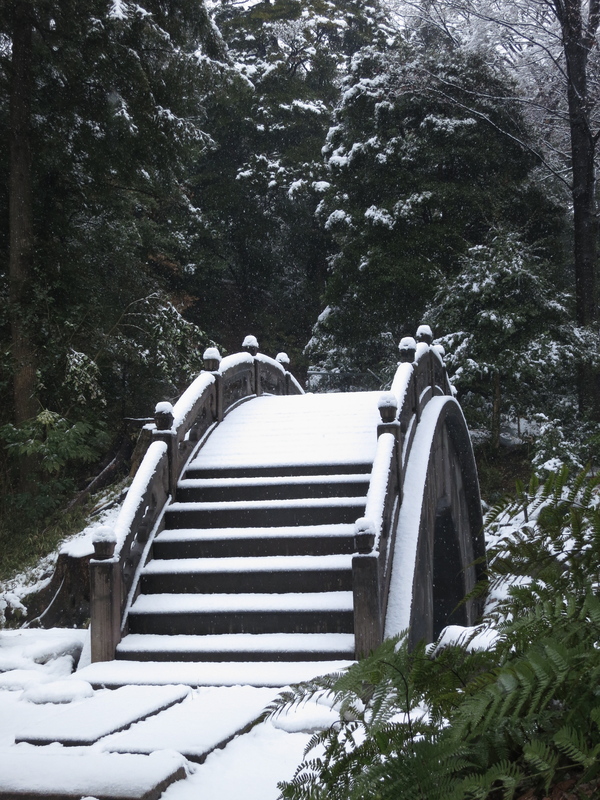 It was bucketing down when I first arrived, and this bridge was nearly obscured by the flurries. I love this low bridge and the pond with rocks sitting around like monkeys in a hot spring. In three months, the arbors on the left will be covered with blooming wisteria. Iris bloom all around this crooked bridge in June, but I love how it looks all by itself, with frosting on top! Cherry blossom season is the famous one, but plum blossom season is more interesting, I think. Plum blossoms are admired because they bravely bloom before any other plant, enduring snow and other un-spring-like conditions. 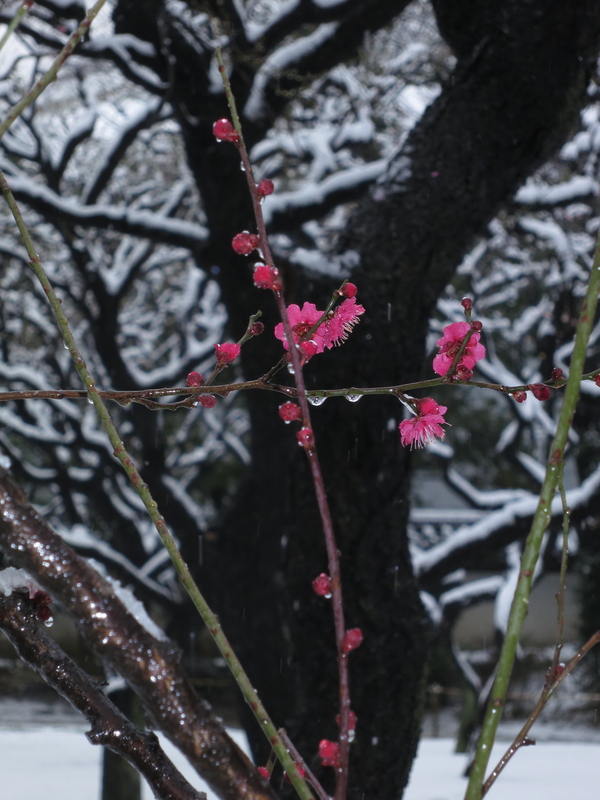 Cherry trees burst forth with abandon, in great clouds of pink, but plum flowers are more like punctuation marks on the beautiful shapes of black branches against the snow. 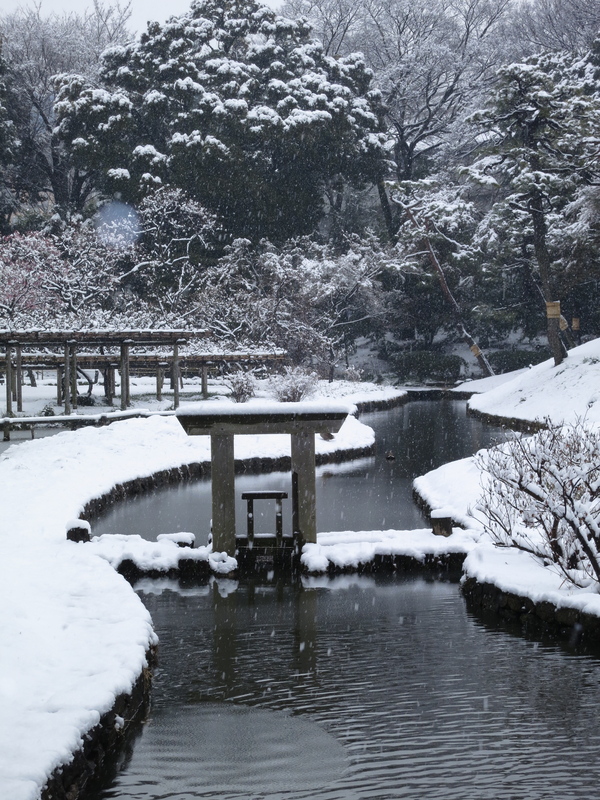 Koraku-en garden is gorgeous in any season. 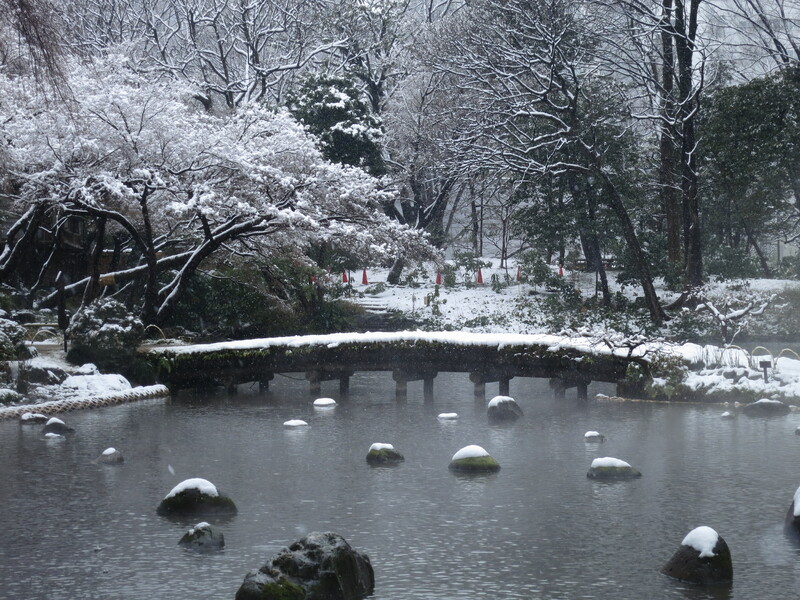 If you want to visit Korakuen or another one of Tokyo’s gorgeous Japanese gardens the next time you’re in Tokyo, directions & maps are on my website, The Tokyo Guide I Wish I’d Had. Thank you! (*^_^*) I don’t feel like I can take a lot of credit, though – at this garden you could spin around and randomly click the shutter and this is what would happen. The pictures practically take themselves! And soon you will be back here so I can drag you along BWAHAHAHA! It’s always beautiful, isn’t it? Usually I like small gardens much better than the grand ones, but Korakuen is more like a string of pearls than a big honking diamond. I haven’t done any guest posts here on my blog, but I totally welcome comments and discussion! 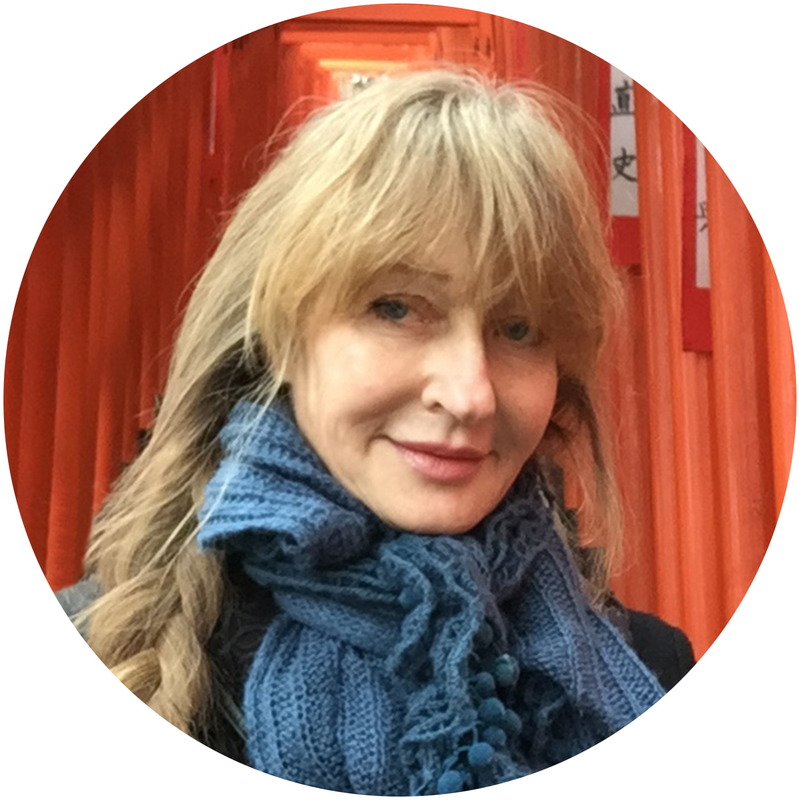 If you’re a photographer and want to share Japan-related pictures, I have a Facebook author page (http://www.facebook.com/JonellePatrickAuthor) that’s about to rev into high gear again because the second book in my Tokyo mystery series will be published on March 19th. I’d love it if you came over there and joined the fray too!